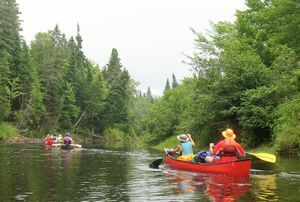 Help the Northern Forest Canoe Trail organization protect and steward the longest water trail in the nation. We work with a grassroots network of volunteers and trailside communities to enhance the paddling experience in the Northern Forest Region. NFCT is a 501(c)(3) organization. Your dollars are tax-deductible to the full extent of the law.